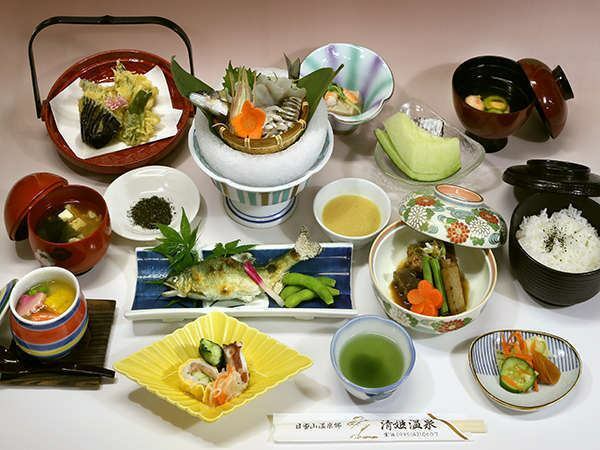 ※The picture is a dish offered at Kiyohime Onsen (Ryokan).Yumotoan Kiyohime may be slightly different from the food provided by Yumotoan Kiyohime. Please acknowledge it as an image painting. It is soft, crispy meat quality, refreshing fat is refreshing and has no odor. 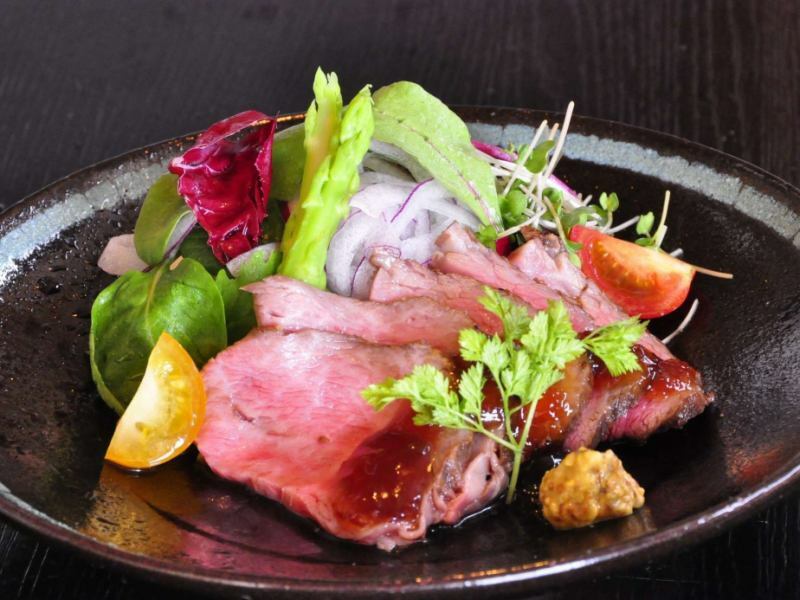 Please enjoy the delicious Kagoshima Black Pork shabu multi-course dinner. 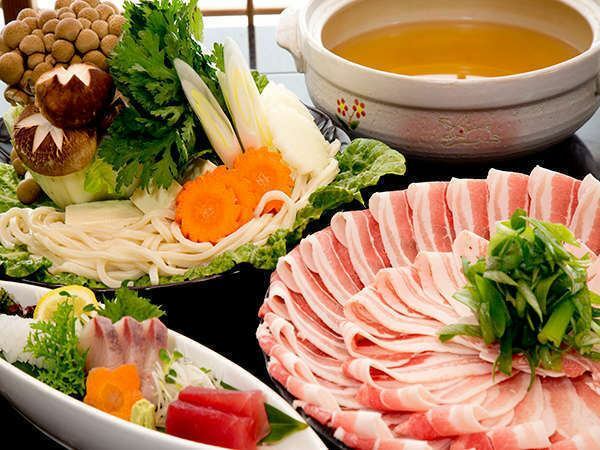 Black pig Shabu-shabu, sashimi, dish of vinegared dish, simmered dish, soup, rice, pickles, fruits etc. 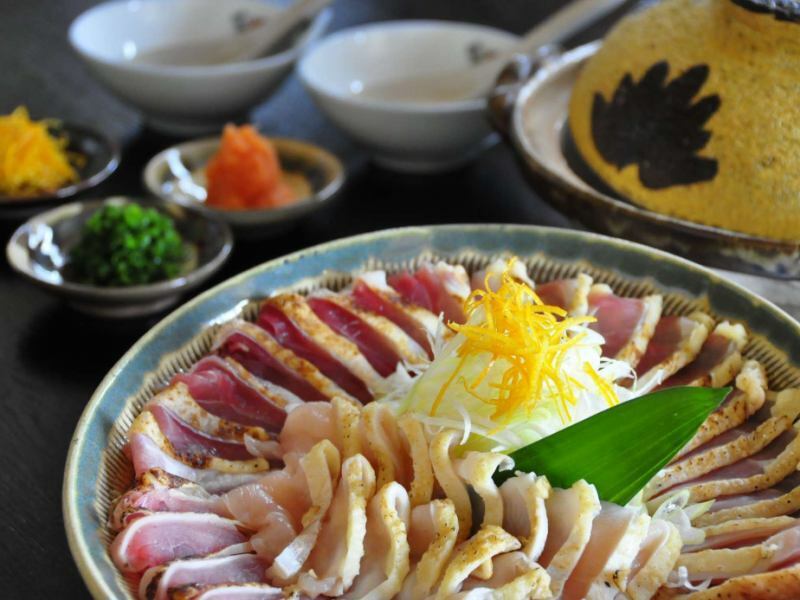 A local cuisine cuisine where the chief chef of the hotel does not allow compromises to be stubbornly restricted by safe and fresh local ingredients. 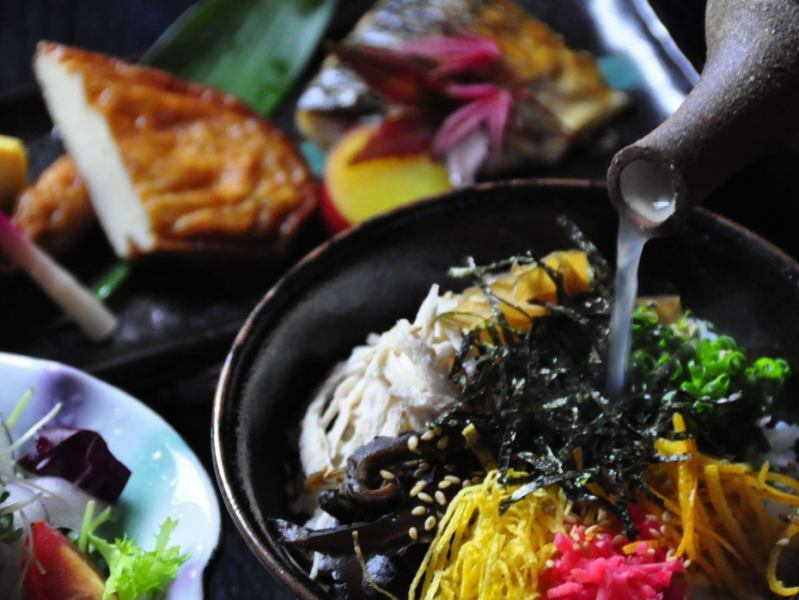 Please enjoy the Satsuma regional cuisine of the season of Kagoshima. 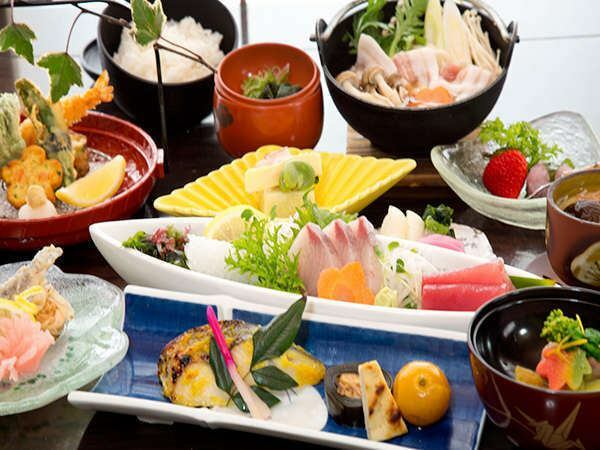 small bowl·sashimi·Vinegared dish·Simmered dishes·Fried food·pottery·Soup·rice·pickles·Fruits etc. It was caught in the immediate vicinity of the Amori River, dying for people who like smack to grilled valuable From Amori River of Ayu, clear stream of Queen "Ayu"
Please enjoy delicious afternoon cuisine dishes such as Ayu Aishige, Ayu Arai, Ayu Salt-grill Oven Roast Baked Wind Yakuyu Tempura, Ayuu, Pork Cartilage Miso Stew. Especially, Ayuu is excellent! We cooked salt-fried sweetfish with konbaki ayu, it has no smell, and the delicious ayu sushi rolls into cooked rice. Please enjoy the fresh sweetfish "grace of the summer clear stream" to your heart's content. It will be limited from June to September.